Being able to offer your employees group health insurance benefits them as individuals and you as a business owner. When your employees receive proper health care, their quality of life improves and they are less likely to suffer from ailments that can keep them from doing their jobs effectively. Working with an insurance and benefit consulting company can ensure that your employees are getting the most out of a health benefit package. 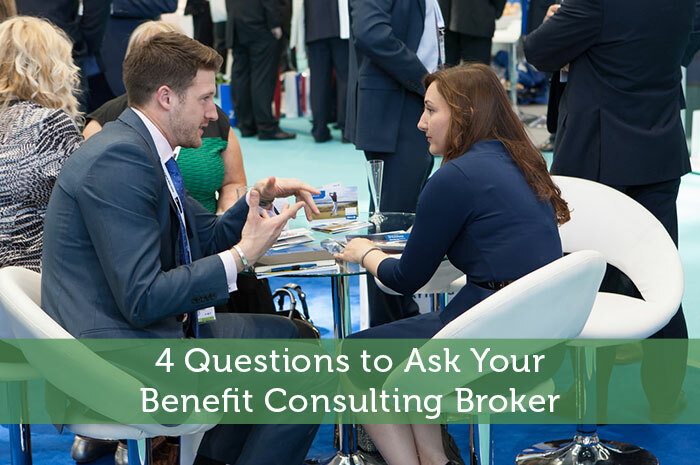 However, as you search for the best plan to fit your company, there are several important questions that you should consider asking your broker first. Before you can work with a benefit consulting company to create a healthcare plan for your employees, it is important you understand the scope of services that business can provide. For example, does it focus primarily on assisting you with creating a health insurance plan for your employees, or is it experienced with benefits packages as well? Can it connect your business with workers’ compensation and liability insurance needs? The wider the scope of the consulting company, the more money you might save by bundling services. 2. How Will You Gauge Coverage? There is a good chance that the insurance and benefit needs of your employees will change over time because of the rising cost of health care, so any benefit consultation service you work with will not only require the experience to create initial packages, it will need to continue to monitor their needs and the needs of your business based on the financial information you provide. For example, if you want to offer your employees discounts on their medications with a prescription package and changes are made at participating pharmacies regarding the cost of certain prescriptions or benefit acceptance, you will need to understand how your consultation service will track those changes and what action they will take to ensure your employees receive the coverage they need. 3. How Will You Communicate Benefit Details? The more comprehensive a benefits package is, the more details it will contain, and you will require benefit and insurance brokers that can effectively communicate the particulars to your employees. This is critical for two reasons: firstly, it can increase your employees’ awareness of how their benefits package works so they can use it to their full advantage and secondly, they will have resources available to answer individual questions about coverage. Any consultation company you choose should be able to demonstrate it has the tools at hand to effectively communicate the details of group health coverage. 4. Can You Create a Custom Plan for My Business? Whether your business is large or small or no matter how long you have been in business, this is one of the most important questions you can ask an insurance and benefit consulting company because of your businesses’ financial needs and the needs of your most valuable commodity: your employees. When a consultation company can create a custom benefit package based on the services your business and your workers need the most, you can all reap the rewards. Choosing a benefits and insurance consulting company that suits your needs can be a daunting experience, especially if your business is relatively new and it is a new experience. However, when you take the time to ask the right questions and listen carefully to the answers, you are sure to find a good match.